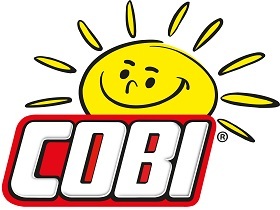 Onyxia AB are the appointed COBI MUSEUM SALES representatives in Europe. Based in Gothenburg in Sweden, we specialize in distributing COBI military historical models mainly from World War II across Europe. We enthusiastically travel to any and all museums in the region to present the COBI military line. COBI military models has been a success in numerous museums in Europe, due to their high quality, and intricately designed models of real World War II vehicles and weapons. Onyxia is headed by Thomas Falk who has more than 25 years’ experience in the business. He and his assistant Gordon both have personal interest in military history, and have developed extensive knowledge of how to choose the right products, considering each individual museum and their customers. These World War II models provide relevant and educational souvenirs/toys for all ages, as well as a welcome extra income for museums.